Description: Medium impact protection & 99.9% UV Protection. 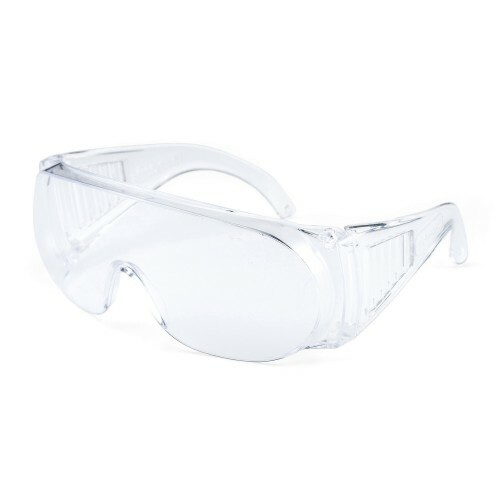 Polycarbonate Lens - Hard coat finish, Designed to be worn over most Prescription glasses, Ideal for visitor safety eyewear. Side Vents help prevent fogging, Moulded nose bridge. Made & Certified to AS/NZS 1337.1:2010 Lic 557823 Benchmark. Individual pack w/plain Euro slot poly bag & Plain inner box.